Check your emails! 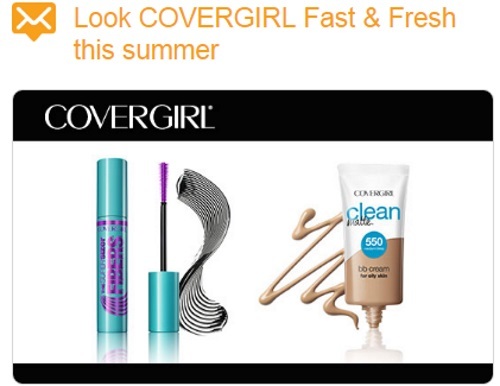 Bzzagent has a new campaign for Canadians for CoverGirl Fast and Fresh for summer! Those selected will be given the chance to try out a Free full-sized CoverGirl Super Sizer Fibers Mascara in Black and your choice of CoverGirl Clean Matte BB Cream in Fair, Light, Light Medium, Medium, Medium Deep or Deep (while supplies last!). Were you chosen for this campaign? Be sure to log into your account and check that all your surveys are completed and up to date, I find that I am never notified if there are new surveys available, I just check back once in a while to see if there are any. Click here to log into/join Bzzagent.